HITLER (2017 / 2074) is the Nepali movie made under the banner of Asta Narayan Pictures & New Creative Motion Pictures in Association with Alternate Motion Pictures & Lochan Ghimire Inc. The movie stars Sohit Manandhar, Menuka Pradhan, A. Gurung, Samiya Bartaula & Diwash Dhital in the lead role. The movie is scheduled to release on Jestha 12, 2074 (i.e on May 26, 2017). HITLER is the romantic love story movie. Menuka Pradhan and A. Gurung are the known faces in this movie. While Sohit Manander has done movies like RHYTHM and NATIZA. Samiya Bartaula is debuting from this movie. 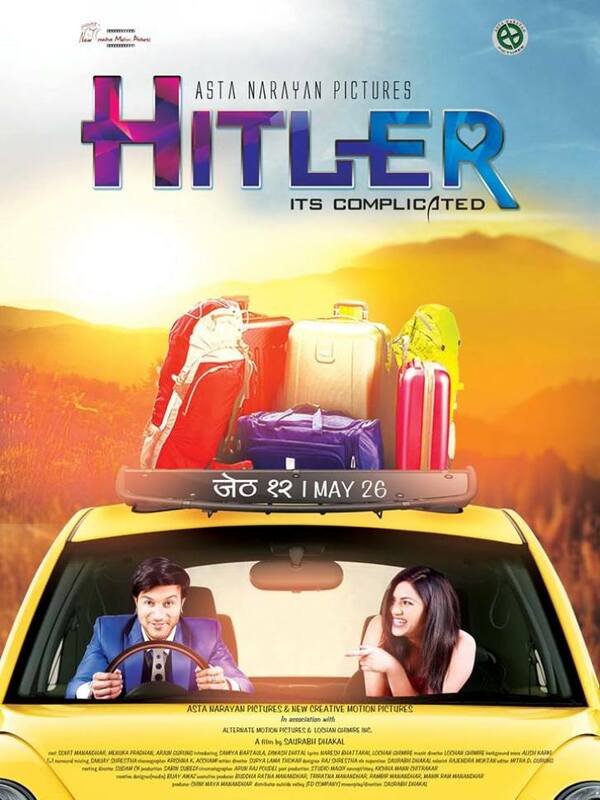 Asta Narayan Pictures & New Creative Motion Pictures Nepali movie HITLER starring Sohit Manandhar, Menuka Pradhan, Samiya Bartaula in the lead role. The movie is schedule to release on Jestha 12, 2074.